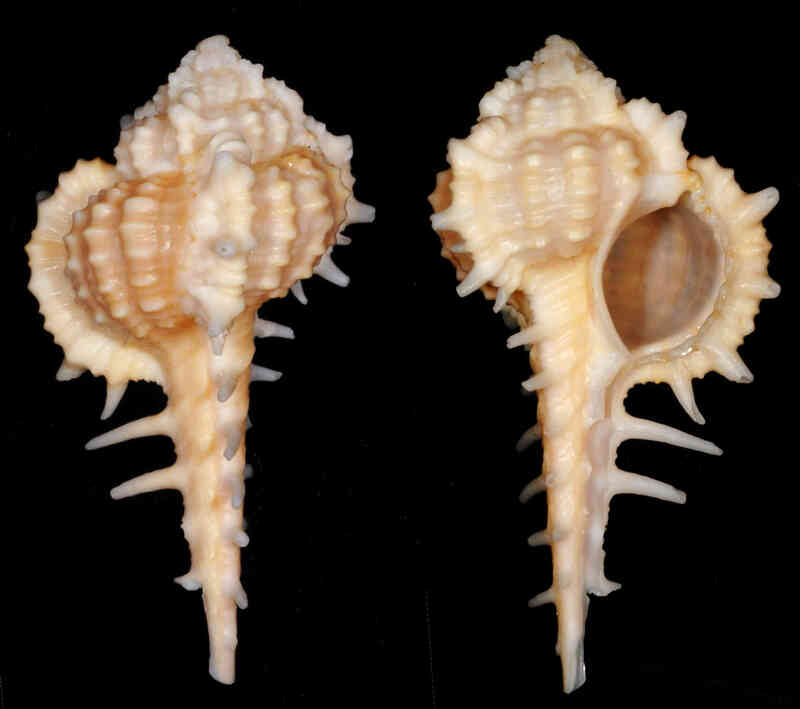 Shell size up to 60 mm. Shell with varices present every 120 degrees. Varices bearing spines that extend onto long siphonal canal. Spines on siphonal canal 3 to 7. Color white, cream, pinkish, or yellowish, with darker bands sometimes present, stronger band about mid-whorl, more prominent on body whorl. Shells collected on the beach have worn, blunt spines, those dredged offshore present very sharp spines.